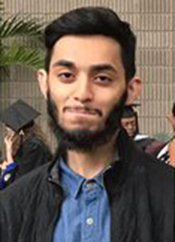 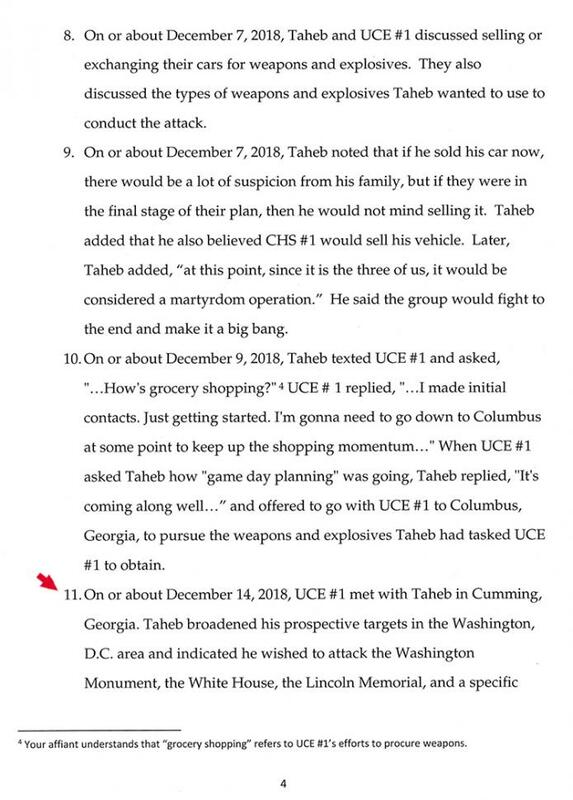 Like many prior radicalized nitwits, Hasher Jallal Taheb, 21, appeared penniless and relied heavily on the undercover agents to move the plot forward, according to a complaint filed today in U.S. District Court in Atlanta, Georgia. 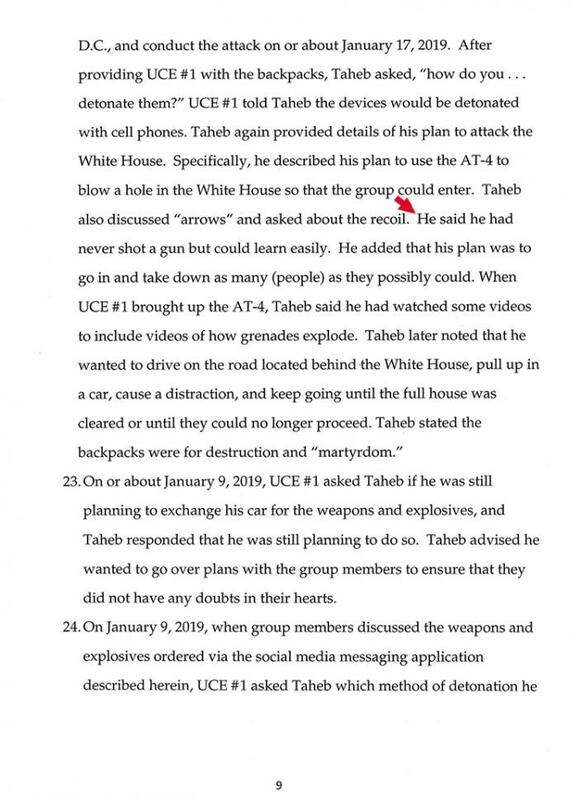 Taheb was arrested today after he met with other FBI undercover agents to swap his car for weapons and explosives to be used in the planned White House assault. 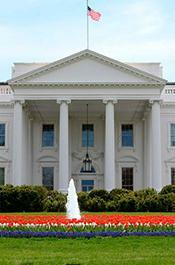 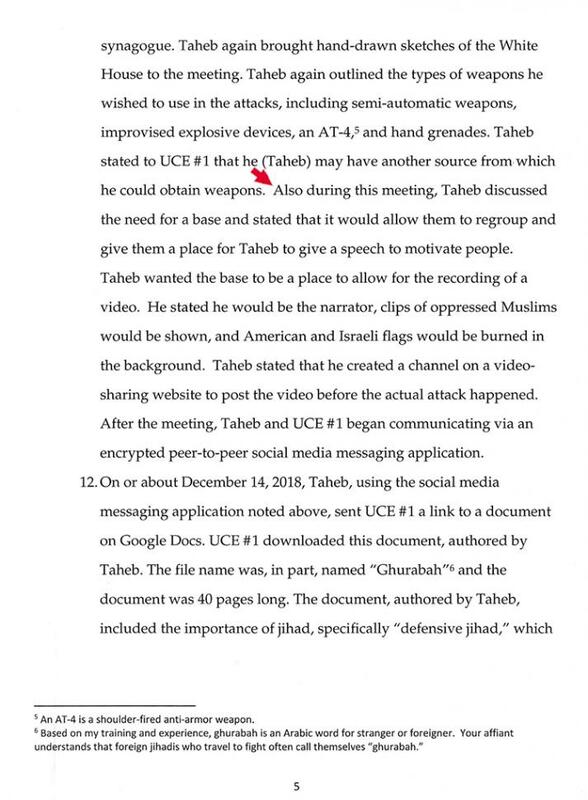 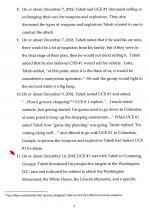 Taheb was the only individual not affiliated with the FBI who was involved in any aspect of the alleged plot.